BC(A)R SI.9 | Who can be a Certifier? Design and Assigned Certifiers can only be Registered Architects, Registered Building Surveyors and Chartered Engineers under the S.I.9. Building Control (Amendment) Regulations. A Register for Architectural Technologists (ATR) has been set up and will be operated by CIAT (http.Architecturaltechnologistregister.ie ). This register is not included in the 2014 regulations so Architectural Technologists are not permitted to act as Certifiers as yet. There are approximately 200 technologists on the AT register. Building owners do not have any public list to find professionals who are willing and competent to inspect buildings at present. This also means that Local Authorities and the BCMS (Building Control Management System) cannot check Certifiers qualifications when they are validating Commencement Notices and Certificates of Compliance. 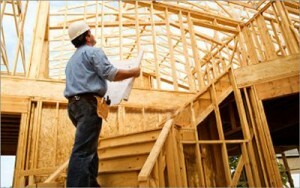 Homebond | Assigned Certifier + defects liability policy for €2,000? Who should be a Certifier- Part 3: Chartered Engineers + Building Surveyors? This entry was posted in Building Regulations on May 28, 2015 by BRegs Admin. It is arbitrary and unreasonable that persons who may be qualified as engineers in disciplines unrelated to the building industry are allowed to certify buildings. Manufacturing, electronic and computing engineers – to name but three – appear to have no basis for claiming competence in relation to building compliance inspections or certifications. The right to issue Certification must be limited to appropriately qualified engineers only. Is Chartered Building Engineer status recognised (C Build E MCABE) Assoc of Building Engineers in UK? My personal assumption is that professionals who hold memberships recognised by the professional bodies in Ireland (such as the RIBA etc) would have to (in the case of an Architect) apply for equivalent RIAI membership before practising as a Design or Assigned Certifier. On foot of that I would presume that one should then have to take out separate, additional PI Insurance to cover one’s work as a Certifier in Ireland. The issue (and problem) as I see it is that the role of the Certifier involves the acquisition of a set of competencies which are distinct from and additional to the day to day roles previously assumed by registered building professionals. In many cases these competencies are unclear and untested. For example one section of the legislation (i.e. SI.9) makes no allowance for elements of the work to go un-inspected and insists on absolute compliance whereas the Code of Practice for Inspecting and Certifying works acknowledges that it is not reasonable to assume that everything that is built can be inspected. One would assume that in a court of law the judge will refer solely to SI.9. In SI.9 the professional enters the realm of guaranteeing absolute competency and (I would argue) effectively indemnifies the mistakes of others – in particular those who have carried out design and / or construction and have offered (or have not offered!) a non-statutory Ancillary Certificates. Sadly all of these subtleties are not recognised and reflected in the statutory legislation. The legislation merely sets out to target the nearest “culpable” professional with PI Insurance – to be used as a scapegoat when defects become manifest and litigation arises. Entering into the realms of “guarantor” and “indemnifier” is a step beyond the competencies of a building professional in my opinion. Companies who engage in this type activity are normally equipped with teams of Actuaries and are bankrolled by investors with a bottomless pit of financial reserves. “43.— (1) The registration body shall establish a register for building surveyors. i) be a member of CABE’s Building Surveyor Section and demonstrate to the Registration board that they have 2 years full time experience performing the duties of a building surveyor. Hi Folks, sorry if Im dragging up a 2 year old chat, but can any one please point me to the section in BCA 2007 that specifically dictates that only Architects/Engineers/Surveyors can certify? 1. that buildings now have to be certified with the BCA at specific stages during construction. 2. that the titles of Architect, Engineer and Surveyor is now protected and cannot be used by anyone who is not registered with the respective professional bodies. but for the life of me I could not find anywhere in the act/law that states specifically that the person certifying builing work has to be one of above 3.
if anyone knows the section that specifices this can you please point me towards it?? This restriction on who can be appointed Assigned Certifier arises in the wording of the Notice of Assignment of Assigned Certifier in the Second Schedule to SI 9 of 2014 (page 17). Section 2 of this Notice states that “As the building owner, I have assigned the following person as Assigned Certifier, being a person named on a register maintained pursuant to Part 3 or Part 5 of the Building Control Act 2007 or Section 7 of the Institution of Civil Engineers of Ireland (Chartered Amendment) Act 1969.” This restricts a building owner to only being able to assign inspection and certification of the works to a Registered Architect, Registered Chartered Surveyors or Chartered Engineers.